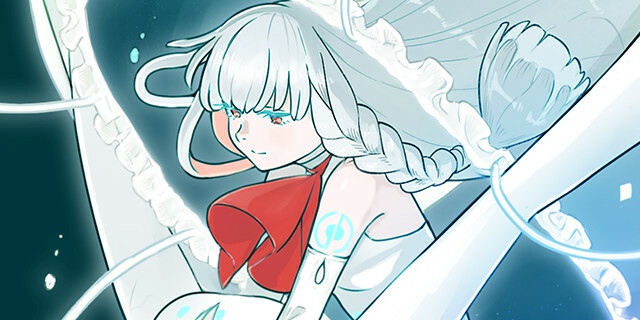 The fourth LUMi creators interview was recently released for all to read! It’s an interview with Shotaro Kaizuka of Nippon Columbia and Bunta, the creator of “Yoake no Uta”, about the official demo song. While the two discuss the song and it’s creation, they also give even more insight into LUMi as well. So we’re able to learn about LUMi’s world as well her her demo. If you haven’t listened to the demo yet, be sure to check it out! Shotaro Kaizuka personally finds LUMi very different from other VOCALOIDs. While many different VOCALOIDs have sprung up from the culture surrounding NND, many aren’t as in-depth as LUMi. She’s treated like an actual character with a personality and backstory. While many VOCALOIDs are given personalities and the like, none have been as in-depth as LUMi’s story. According to Kaizuka, “It’s almost like we were creating an animated film out of her, first establishing the story material, and then coming up with the soundtrack”. Rather than feeling like he was making a demo song, he felt like he was creating the main theme of a movie soundtrack. In addition, Bunta noted LUMi is his favorite VOCALOID. While he owns ten of them, he feels that LUMi has the most gentle and pure voice. Kaizuka continues on noting how important LUMi’s backstory is. He says that it gives people the chance to think of LUMi in ways they wouldn’t have before. However, unlike many, he doesn’t see the backstory as limiting. He feels this new way of thinking will allow even more range of creativity. Both Bunta and Kaizuka said that creating a song, or anything, doesn’t come easily. Both note they make songs for the listener more than themselves. While they personally may like something, they agree that it’s still no good if the listeners don’t like it. Bunta personally puts a strong emphasis on what he wants to convey when he writes. However, he also feels that he’s not just that as he also writes music based on what people want to hear and not necessarily completely what he wants. 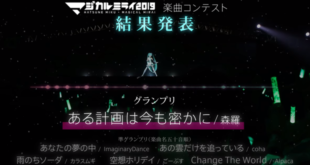 Kaizuka actually joined in the production of the song when it was almost complete. However, with his help, the song became what it is now. He advised that the string instruments be redone. According to Kaizuka, the group wasn’t even sure what instruments they should be record for the song. But when he heard that LUMi’s story was set in Kamakura, he was able to find some direction. He imagined the scenery as daybreak on an early summer day, with the sound of waves crashing in the distance. Then he imagined how that kind of scenery could translate into a piano phrase as he listened to the song itself. When he heard the song’s demo for the first time, he wondered if it would suffice as an original song. He considered a rhythm change and when the song changed enough that he started thinking, “Now THIS would work as LUMi’s signature song!”, hestarted to wonder if the song didn’t necessarily have to all be in 4/4 time. There are moments when the rhythm changes between 6/8 time and 5/8 time to give the sense of “waves”. After all, waves are dynamic and are always changing. Kaizuka thought that the piano parts should reflect this. They went on to record drum, bass, and guitar parts afterwards. At first, they started with the drum and bass parts, then recorded the piano parts to go on top of them. But, at one point, Kaizuka suggested that playing and recording all three together may improve the song slightly. Bunta and Kaizuka both agree this vastly improved the song. At first, the song was themed around words like “ocean floor” and “harbor.” But, afterwards, rather than thinking along similar terms like “bubbles” or “water,” the theme of the song started to change to “space.” Bunta felt that having the song theme around “space” would fit Yoshizawa-san’s image of the song much better. Furthermore, the recording sessions were eventually moved to a much wider and more spacious studio, which changed the sound of the recordings. That meant it wasn’t just the theme, but even the studio that changed to fit the new direction of the song. Bunta notes that he hopes people will start to use LUMi as their primary VOCALOID. He thinks she’s amazing with her pure and gentle voice, and her ability to pronounce every single sound, including diphones and triphones. As for Kaizuka, he hopes to see LUMi perform. He’d like to see LUMI in something like Isao Tomita’s “Symphony IHATOV”, a live entertainment show in which Hatsune Miku appeared in the orchestra to sing and dance. He felt like this was the complete package. According to him, people have been saying for years that the way in which we enjoy and consume music is going through a period of change. He thinks that if this is so, that LUMi should the one who introduces us to new ways of enjoying and consuming music. Finally, the two were asked what advice they had for people who want to start creating music. Bunta said to just give it a try. Just start off by making one song then, before long, you’ll make lots more. Create songs that you yourself love and the work to create songs that others will love. Because, after all, creating something you think is a masterpiece means nothing if your listeners don’t like it. Kaizuka suggests that you have to have a good balance of input as well as output. He thinks that balance would be really difficult to attain if you only listen to music that you discover online. 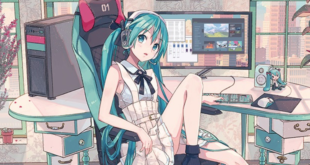 And, while he admits it’s true that VOCALOID software is convenient for lending vocals to your music, it comes with its own risk: if you only ever write VOCALOID songs, then you’ll never get to experience what it’s like to direct an actual singer. He stresses the importance of listening to lots of music in all different genres. 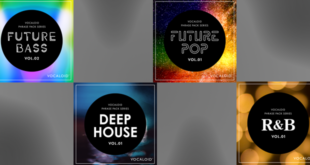 A large amount of a variety of music is key. He also suggests that you spend time listening to one single song over and over again with reasonably good audio. If you listen very closely and earnestly, then you’ll be able to discover something new each and every time. You can then add those discoveries to your own personal repertoire of musical knowledge, helping to strike that balance mentioned above. He says it’s fine if you decide that the VOCALOID realm will be your primary battleground, but he believes that you should someday also learn to work with actual singers. He notes that other important points to keep in mind are practicing your step recording, practicing actual band ensembles, working with people who are adept at reading music scores, and, most importantly, always keeping an open mind about anything and everything. Please note that this is a summary of an unofficial translation by VNN. You can find the interview in Japanese here.